TOKYO — Asian shares were lower Wednesday amid continuing global uncertainties that weighed on stocks as some traders took profits from a rally earlier in the week. Japan's benchmark Nikkei 225 dropped 1.2 percent to 21,243.26 in morning trading. Australia's S&P/ASX 200 lost 0.5 percent to 6,141.30. 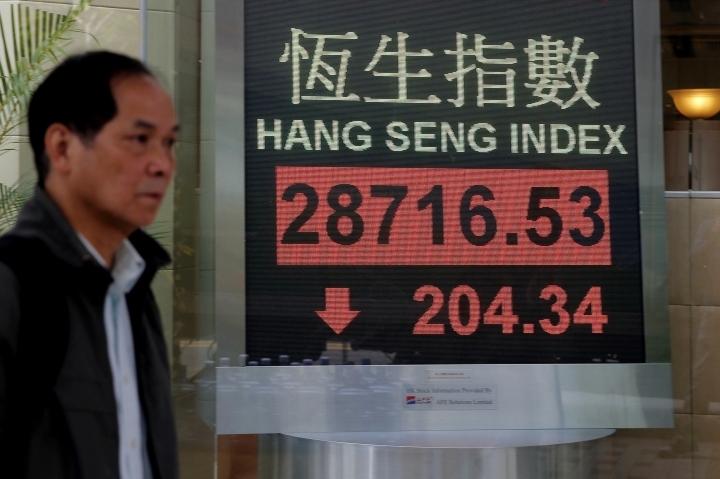 South Korea's Kospi slipped 0.9 percent to 2,136.52. 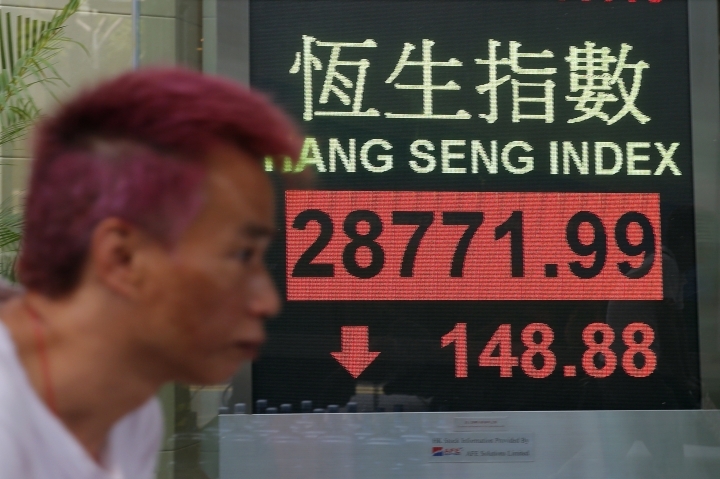 Hong Kong's Hang Seng fell 0.5 percent to 28,776.10, while the Shanghai Composite dipped 0.8 percent at 3,035.15. On Wall Street, Boeing weighed down the Dow Jones Industrial Average for a second day as shares in the aircraft maker fell amid safety concerns following a second deadly crash involving its most popular plane. The company led a slide in industrial sector stocks. The benchmark S&P 500 index gained 8.22 points, or 0.3 percent, to 2,791.52. The Dow fell 96.22 points, or 0.4 percent, to 25,554.66. The Nasdaq composite, which is heavily weighted with technology stocks, climbed 32.97 points, or 0.4 percent, to 7,591.03. The Russell 2000 index of smaller companies picked up 0.96 points, or 0.1 percent, to 1,549.83. Investors have also been closely watching developments in Britain, although they appeared to shrug off the latest developments. Parliament voted to reject a deal for the U.K. to exit from the European Union. The move plunges the Brexit process into chaos just 17 days before Britain is due to leave the bloc. Investors are also still waiting for more details on any potential trade deal between the U.S. and China. Costly tariffs have hurt both nations and investors hope a deal can be struck to at least take some pressure off the global economy, which has shown signs of cooling off. CURRENCIES: The dollar inched down to 111.21 yen from Tuesday's 111.26 yen . The euro rose to $1.1288 from $1.1256. ENERGY: The price of benchmark U.S. crude oil rose 20 cents to $57.07 a barrel. It rose 8 cents to $56.87 a barrel Tuesday. Brent crude rose 11 cents to $66.78 a barrel.